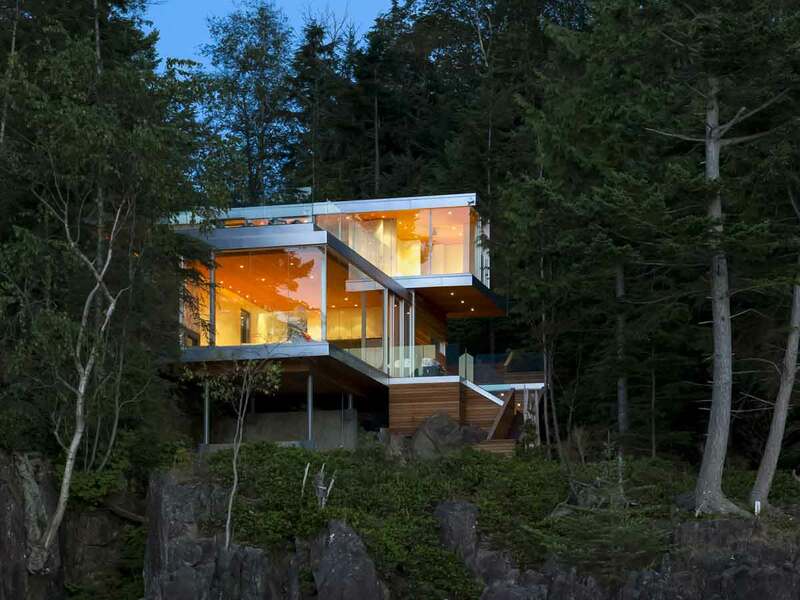 Built on the cliffs of Gambier Island, this sleek house is a getaway home. The rustic design by McFarlane Biggar is off the grid and only accessible via the water. The house is contemporary in style. 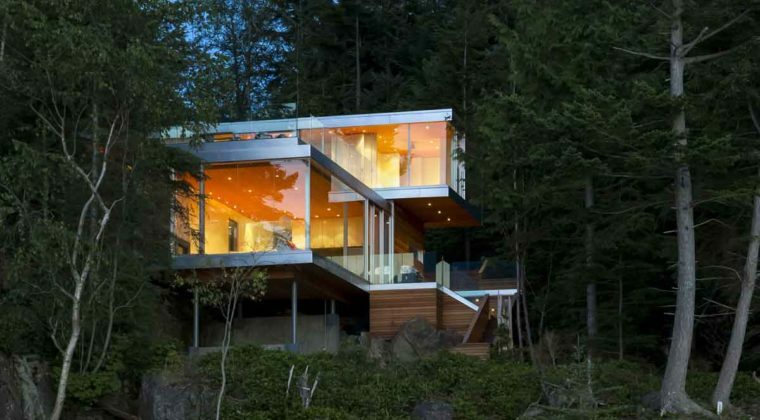 The exterior is made of cement board, wood, and insulated glass, and the glass walls and the deck look out over the surrounding water and fir forests. View of ocean, forest and mountain. Inside, naturally finished wood lines the floors and ceilings, while the walls glow in white. The roomy house is composed of two boxy volumes and two stories, providing plenty of space for a relaxing weekend outside the city. Gambier Island House, commenced by McFarlane Green Biggar and completed by successor firm Office of McFarlane Biggar (OMB), is located in Brigade Bay. As long as there have been cities there has been the desire to escape them—to get away from it all. Nowhere does this escape beckon so insistently than Vancouver, where mountains and ocean form the backdrop to daily urban life. And perhaps no destination offers up remote seclusion in such close proximity to the city than Gambier Island, the largest of the Gulf Islands.